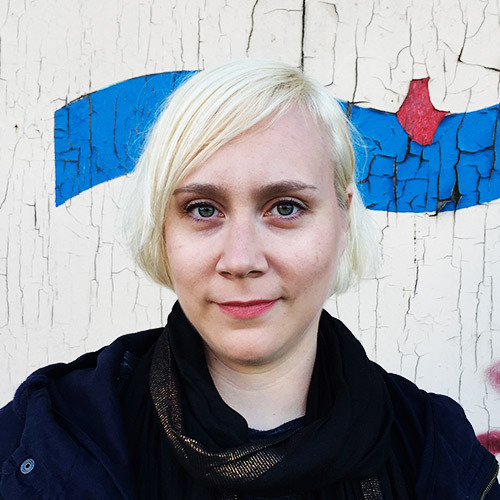 Ulla Heikkilä is a Finnish film and television screenwriter/director based in Helsinki. Her short film Golgotha (2016) screened at several international film festivals, such as Nordisk Panorama, Aspen Shortsfest, Premiers Plans and Palm Springs. Her latest short film, #barewithme (2018), had its international premiere at the Aspen Shortsfest. Ulla has also written and directed theatre and radio plays. She holds an M.F.A. in Film Directing from Aalto University in Helsinki. Ulla is the vice-chairperson of the Association of Finnish Film Directors and is currently developing her first feature film, Confirmation, and various television projects. Confirmation — Confirmation is a youth film about individuality, team spirit and feeling like an outsider under the eye of God.